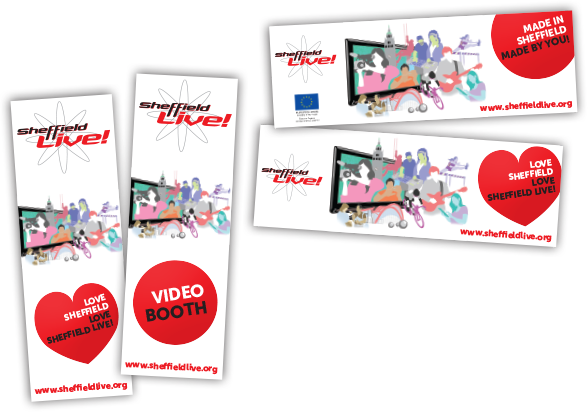 A set of 4 x large banners (610mm x 1820mm) for Sheffield Live! to be used at various events around the city. Categories : Banners, Graphic Design, Posters, Sheffield, Sheffield Live!